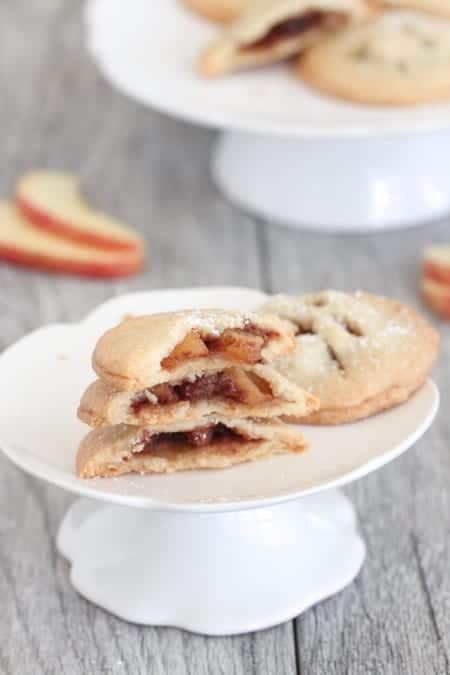 These Peanut Butter Apple Hand Pies make the perfect sweet treat for any occasion! Sweet and the perfect size to hold in your hand! 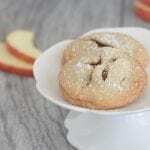 Hand Pies make the perfect dessert for your guests! Especially with peanut butter and apples are involved! The best combination! 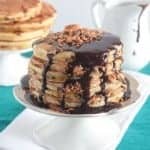 Check out more of my favorite Peanut Butter Recipes! What a pleasure partnering with Karo® Syrup today to bring you a Holiday treat that will wow all of your guests! 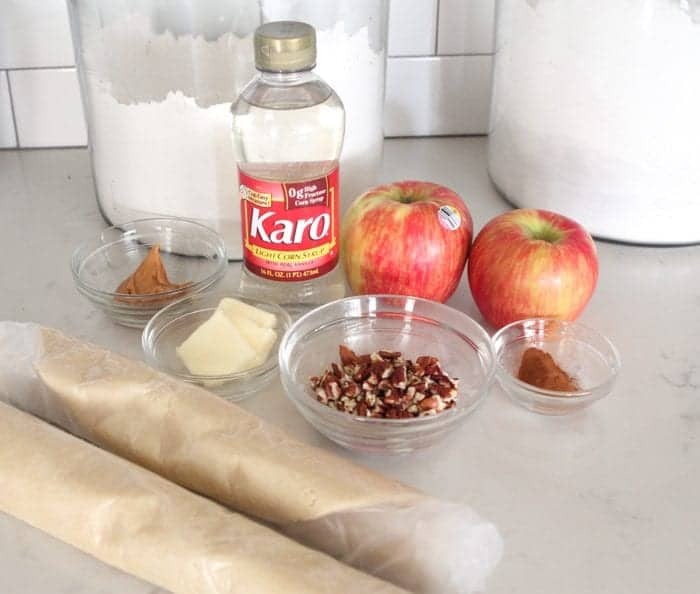 The texture Karo® Syrup brings to your baking is like no other. 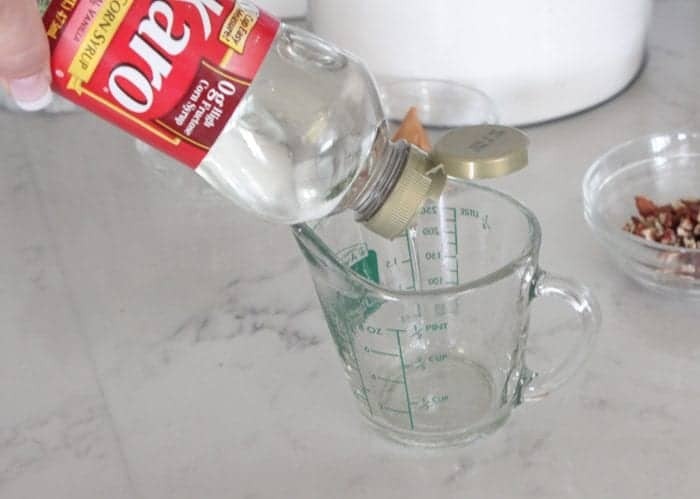 It’s always stocked in my pantry for all of my Holiday baking and I think you’ll find it’s a key ingredient to have around whenever you’re baking. 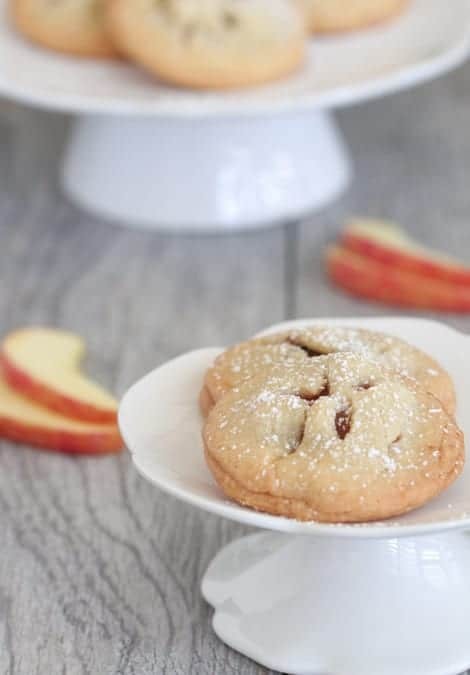 I have so many fun memories of cooking and baking around this time of year and can’t wait to dive in These little individual hand pies are a fun and simple dessert for your guests to enjoy! I started by using a Karo recipe for Apple Pie Bites, but changed it up a little with peanut butter and a double crust. 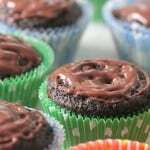 This recipe calls for just a few simple ingredients! Let’s start with some diced, peeled apples. About 1/4 inch. 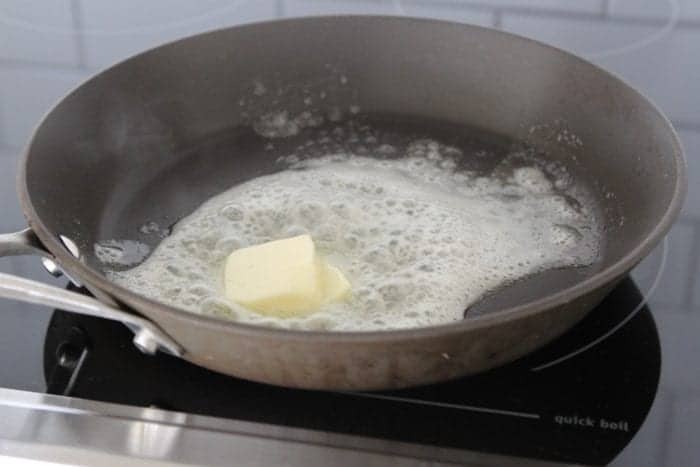 Melt 2 tablespoons of butter into a medium skillet. 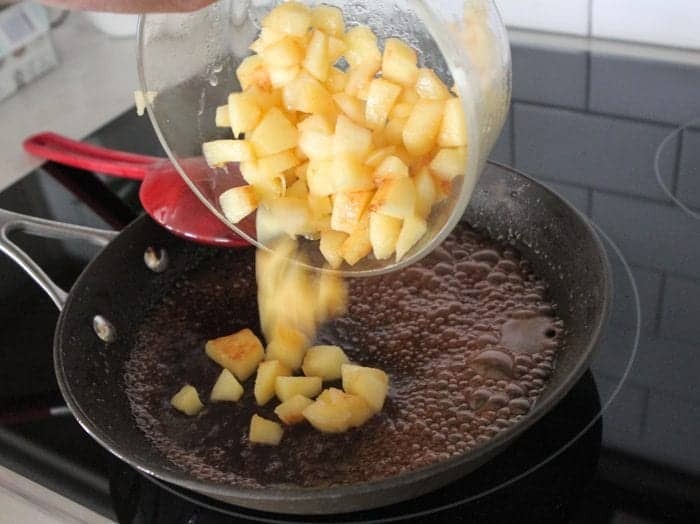 Add your apples to the melted butter. Cook for about 5 minutes, until apples are slightly softened. 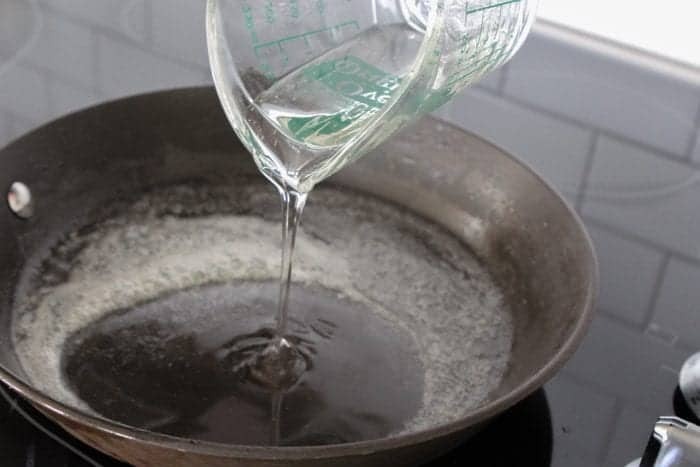 Remove from skillet when done. Time for the Karo® Syrup! 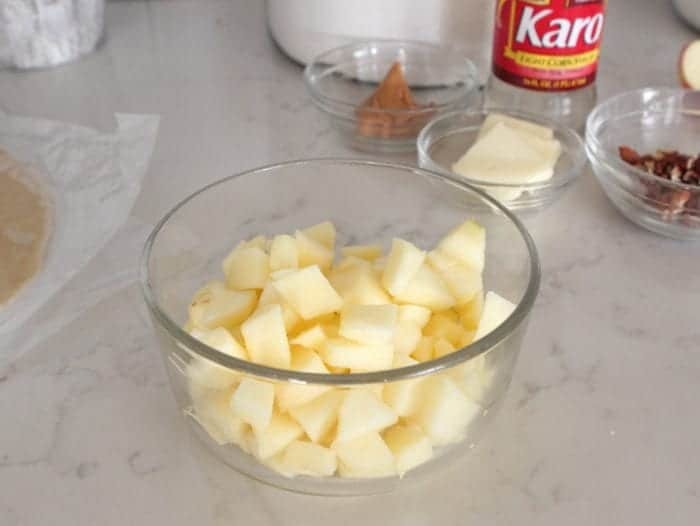 Melt 1 tablespoon butter then add the Karo® Syrup. 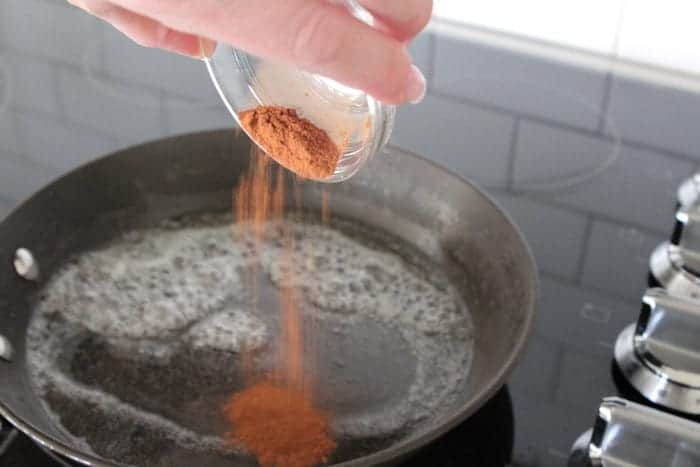 Stir in the cinnamon and let mixture come to a low boil for a couple minutes until thickened. Remove from heat and stir in cooked apples. 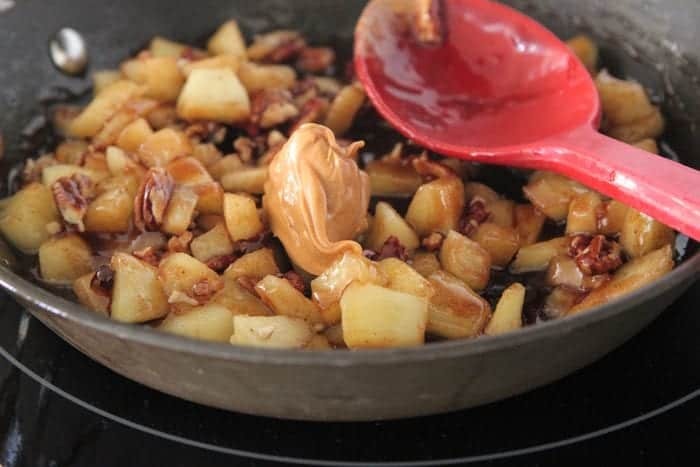 Stir in 1 tablespoon of creamy peanut butter. How gorgeous does this look?! Cut Your Pie Crust Rounds! Unroll your pie crust and cut about 3 inch rounds. I used a mason jar lid. 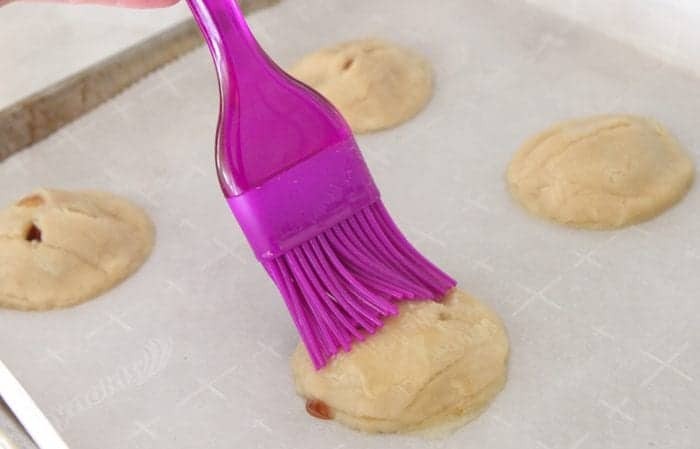 A round cookie cutter works great too. I was able to get 12 rounds out of each pie crust. Spoon about 1 tablespoon of filling into center of half the pie crust rounds. Close with remaining pie crust rounds and press edges firmly. Brush lightly with melted butter. Bake until golden. Remove from oven and let cool. Dust with powdered sugar before serving. 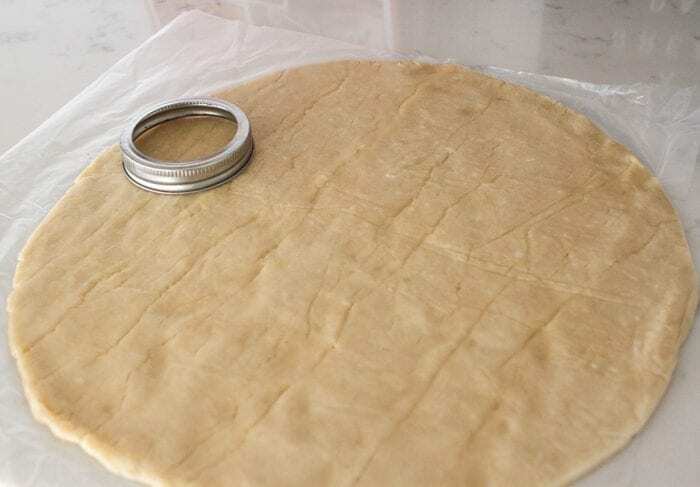 Unroll pie crusts onto parchment paper. 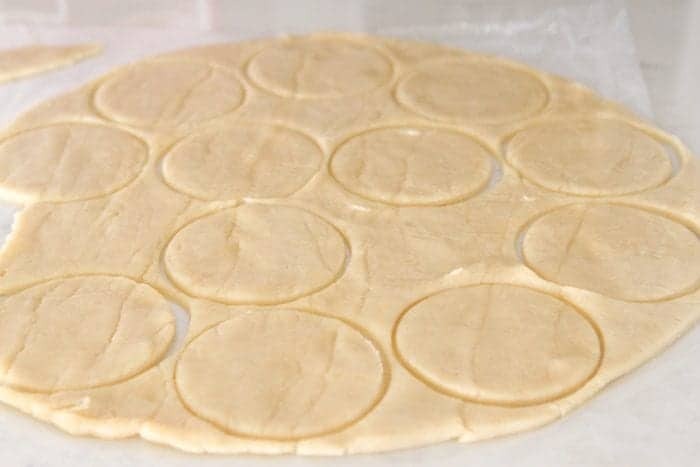 Use a round cookie cutter or cut 3 inch rounds in each crust. 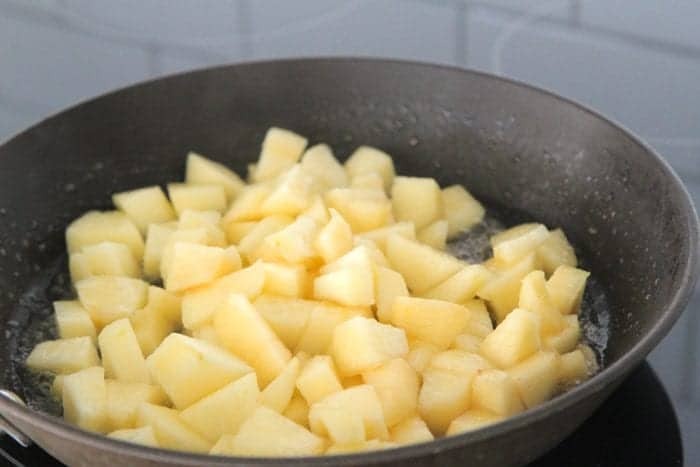 Melt 2 tablespoons butter in a medium nonstick skillet over medium heat. 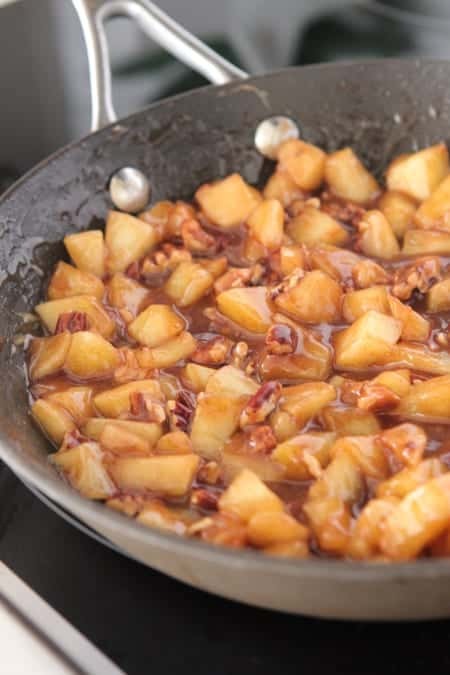 Add apples and cook, stirring frequently, 5 minutes or until apple is tender. 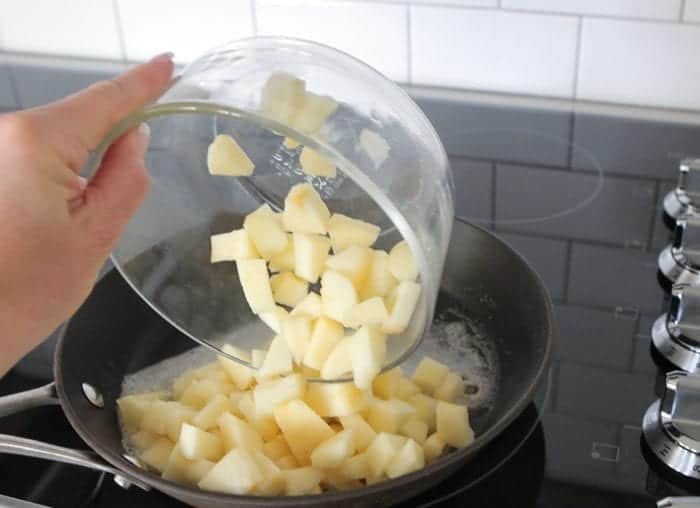 Transfer apples from skillet into a medium bowl using a slotted spoon and set aside. Melt remaining 1 tablespoon butter in skillet. Stir in corn syrup and cinnamon and bring to a boil, reduce heat to medium low and simmer for 2 to 3 minutes or until mixture begins to thicken. Remove from heat. 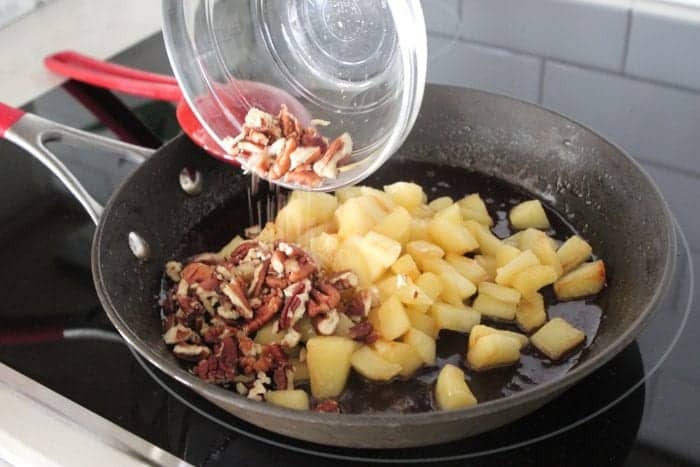 Stir in reserved apples and nuts. 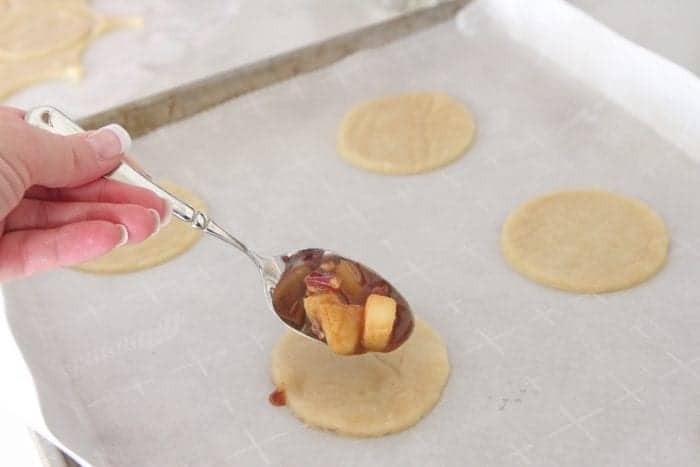 Place a heaping tablespoon of apple mixture onto the middle of half of the round cut out pieces of crust. Place remaining crust rounds over top of filling and use fork to press edges firmly. Cut a few slits on top to allow for steam. Brush lightly with egg whites and bake for 15-20 minutes, until golden. Remove and serve warm. Disclaimer: This post wass in partnership with Karo® Syrup, 2016. All thoughts and opinions are 100% my own. Thank you for supporting the brands that make Picky Palate possible. So much fun for fall! Do you think we can triple the recipe and make it into a normal deep dish pie? 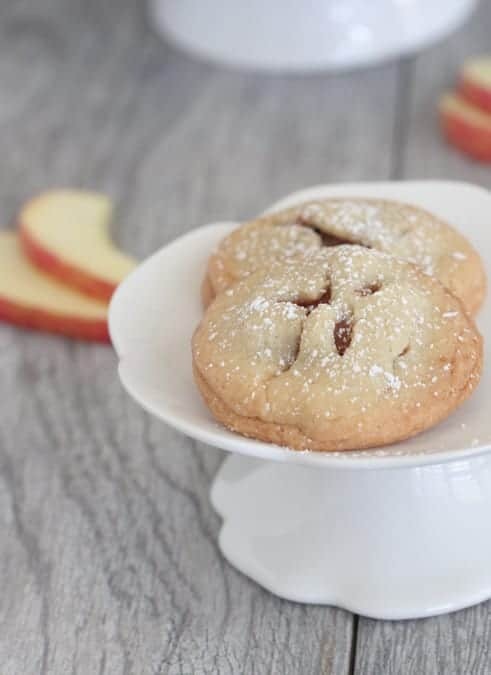 They are perfect for Thanksgiving! My family will love them. It looks delicious! I’ll do it for the family. This is my favorite kind of pies which has crust of peanut better. Very beautifully created this page. 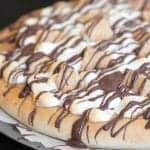 This recipe looks so good!! I am going to try it! !